Doberman Pinschers are big, sleek, regal dogs who were bred to work. So they’re pretty large and pretty active, which also means they can pack quite a bit of food away! As with any big, active dog, it’s important to find a good dog food that provides all the nutrients he needs. Today, we’ll help you find some of the best dog food options for your Doberman, so you can keep him healthy, happy and active. Additionally, Dobermans are prone to some very serious health problems (some that can even be fatal), so getting their diets right is really, really important. It also requires a few different feeding methods (which you’ll see below). Hopefully, we can demystify your Doberman’s diet and help you find a good, high-quality food you’ll both love (even if he’s the only one eating it!). 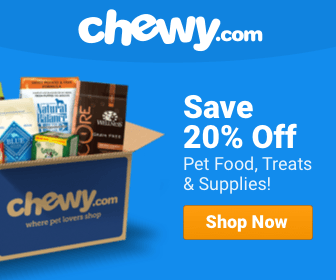 What’s an Ideal Doberman Diet? Dobermans are usually pretty active. The breed was developed around the end of the 19th century by a guy named Karl Friedrich Louis Dobermann, a German dude. He developed the breed to be particularly active, intelligent and alert. And, as most Doberman owners will tell you, you can see those characteristics in most of this breed today. Because they’re so active, you’re probably going to end up feeding them a few more calories than you would for a more relaxed dog. As always, the amount of food you feed your dog will mostly depend on her weight and how much exercise she gets per day. The numbers above are based on an 80-pound dog, since that’s an average weight for both a male and female Doberman. However, male Dobermans can weigh anywhere from 75 to 100 pounds, and females can weigh from 60 to 90 pounds. So just keep that in mind (and chat with your vet) as you try to decide how much you’re going to feed your Doberman. Protein is really tricky for Dobermans. On the one hand, like most active dogs, Dobermans do best with higher protein-content foods. Our golden rule here is that you should be feeding your dog—at the absolute minimum—25% protein (so, a quarter of his diet). For more active dogs, though, you want to make sure they’re getting a bit more. At the very least, it’s good to makes sure protein is the main ingredient in whatever food you buy. However, Dobermans are also prone to kidney disease, and eating too much protein can make this worse. Because there’s a bit of a tightrope to walk here, we strongly recommend a trip to the vet to get a professional opinion about how much protein your Doberman should be eating. Dobermans also need quite a bit of fat in their diet. They don’t have long hair, of course, but they’re coats are prone to drying out. You can help your dog keep his regal coat by making sure whatever food you opt for has plenty of great sources of fat, and you should pay special attention to those with lots of omegas. When looking at carbs, keep in mind that Dobermans are prone to hypoglycemia (low blood sugar), so they need good complex carbohydrates that burn more slowly. This will help avoid blood sugar spikes and crashes. Plus, slow-burning food-fuel will keep them active and playful much longer, which they’ll love! Our favorite source of carbs is sweet potatoes. However, Doberman Pinschers aren’t particularly prone to allergies, so they should be okay eating a few high-quality grains, like brown rice, too. Dobermans, more than most dogs, require a high-quality diet. They’re prone to plenty of health problems, and some are super serious. Having a good diet is usually the first step to keeping your companion healthy. Bloat. Bloat is a very, very serious problem, and it’s common in large dogs with deep chests, like a Doberman’s. Bloat occurs when a dog’s stomach fills with gasses, causing it to flip over on itself. When this happens, gasses can’t escape from the body. If this happens to your dog, take him to the vet immediately. It’s a real emergency, and it can be fatal. Luckily, you can also help prevent it with a few nutritional adjustments. The first thing you can do is give your dog smaller meals, which will produce less gas. Divide your Dobermans’ daily food into at least two meals, but he’s probably better off with three or four—just to be safe. You can also add a bit of wet food in with his dry food. This also helps reduce gasses. Lastly, try to make sure he’s not exercising close to meal time, and keep his water bowl topped off (and close to the ground). Hypothyroidism. Hypothyroidism means that your pup’s thyroid gland doesn’t produce quite enough T3 and T4 hormones. If your dog has this condition, it may be really easy for him to gain weight—even when he’s getting regular, daily exercise. Dobermans with hypothyroidism should avoid grains and highly processed fillers that are frequently found in commercial dog foods. Instead, try to find foods with lots of whole, high-quality ingredients consisting mostly of meat, fruits, veggies and roots. Wobbler’s Syndrome. Dobermans are also at risk for a health condition called “Wobbers Syndrome,” an affliction of the spinal cord that causes them to stumble, wobble, and lose balance or fall. This usually happens later in life, but the key to preventing it is controlling your Doberman’s weight as a puppy. This mostly just means not feeding your Doberman puppy food beyond six months of age and making sure he’s gaining weight steadily instead of all at once. So just check with your vet. I love Merrick. It’s what we feed our dog at home, and she loves it too. We’ve fed her several different formulas, and they’re just all really good. 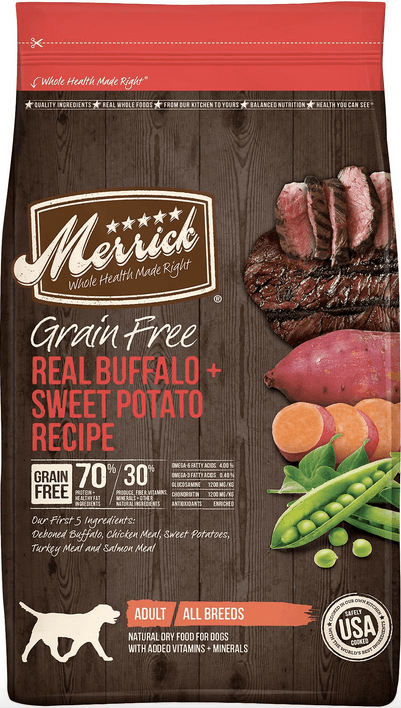 One of the reasons I like this brand is that the ingredients are all super high-quality, and they have lots and lots of protein. In this particular formula, protein accounts for 70% of the calories. That’s a lot, and it’s a really great choice for active dogs. However, please be careful: this dog food may contain too much protein for Dobermans with kidney problems. The rest of the calories in this recipe come from fresh produce, and the carbohydrates come from sweet potatoes, which means there aren’t any grains, and it’s a good choice for pups with tummy problems. There’s no corn, wheat or soy. 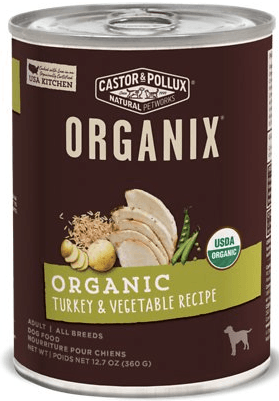 Again, this is what our pup eats on a daily basis, and we really can’t recommend it enough. We picked this dog food because it kind of walks that tightrope of just the right amount of protein for a dog who wants to protect his little puppy kidneys. Protein accounts for 26% of the total calories here, so it’s right in the goldilocks zone if you’re worried about health (kidney) problems down the road. There are some grains in this recipe, but there are also plenty of sources of veggies and fats, including flaxseed, which gives your Doberman access to those essential omegas. It also contains avocados, which are a great, natural source of fats. This is also a good food for other breeds, like pit bulls. 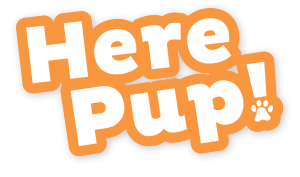 I wanted to include a wet food option here, since supplementing your Doberman’s regular food with a bit of wet food is a good way to prevent bloat, which is super dangerous. 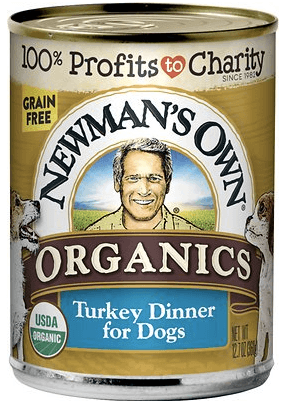 However, I want to be clear: unless your Doberman buddy has kidney problems, I don’t recommend this as his daily food. The protein’s a little too low for that, I think. But it’s a very good option if you want to mix in some wet food with your pup’s dry food. Another major benefit of this food is that most of it is organize (or maybe all of it; not sure). The primary ingredient is organic chicken, and there’s no wheat, no corn, no soy, and no gluten. In other words, it’s made to be very digestible. I got a sample of this for our dog, and the taste factor seems to be getting high marks. 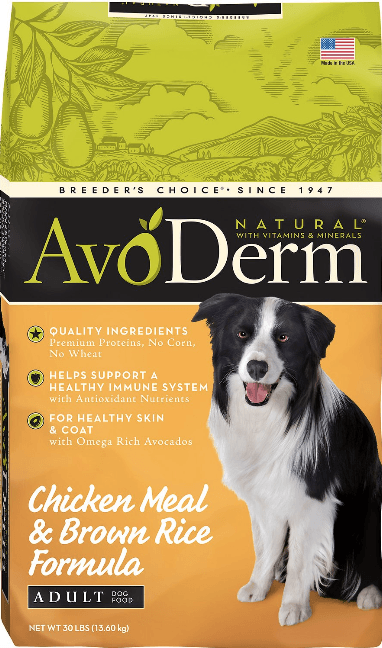 This is another good wet, organic food you can use to supplement your dog’s dry food. There’s a bit more water here, which is kind of a mark against it, but otherwise, the ingredients come from great, whole, natural sources. For instance, the main ingredient is organic turkey. The second ingredient, however, is water. So why are we recommending it? First, the ingredients are good. 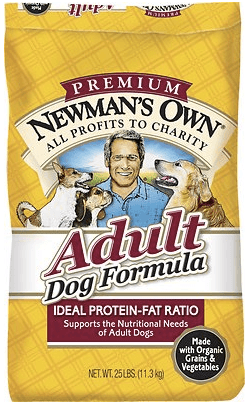 Second, for a Doberman, you really only need to use wet food to supplement his regular try food. I wouldn’t use this as your dog’s primary food, but for a Doberman who likes a little wet food mixed in, this is a really fantastic option. To wrap up our list, we chose another Newman’s Own formula. It’s not typically high up on my list, but that’s because the protein content is a little low. The ingredients are still great. So, I’m recommending this mostly for Dobermans with kidney problems. Of course, you’ll want to check with your vet, but at 21%, the protein percentage is pretty moderate, and it should be much more palatable for dogs whose kidneys aren’t in the best shape. Another big plus is that everything is organic. It contains chicken (not meal or byproduct), organic barley, organic peas, organic oats, and a bunch of other organic stuff. Like this article? You might also dig this one on food for German shepherds, then. We've also put together a guide to feeding your Great Dane. Or, if you're an English bulldog owner, look here. Or, here's some info for all you Border Collie folks. I’m uncertain why you would recommend a “small breed” formula on this site for a Doberman. Is there a reason for that? Thank you for any advise you may have.